Want to quickly see how the open-source software osTicket works? You'll find a free and updated demo installation of osTicket here. 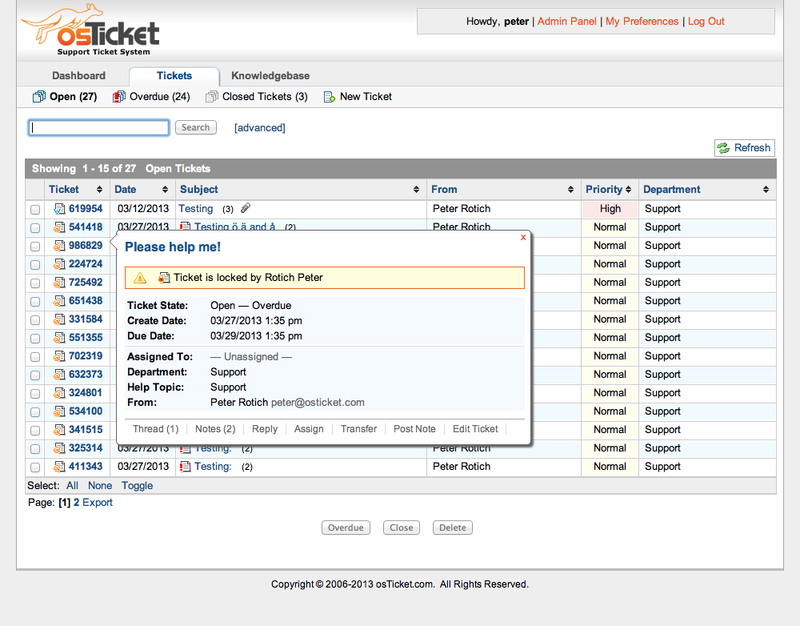 OsTicket is a free open source support ticket system used around the world by businesses to help with their customer support efforts. The software is built using PHP as a programming language and uses a MysQL database to store information. It was built as an alternative to higher-cost and complex customer support systems and focuses on providing a simple to use user interface and a lot of functionality. OsTicket features have evolved over the years, each new version bringing improvements. OsTicket offers a free self hosted version of the software, where you are responsible for everything from download to installation and setup. However you can also get the software as a hosted service where you get support from the team, with SSL, upgrades and maintenance included and you also benefit from daily backups of your information. If you want to get a complete osTicket review you can try the free trial available on their official website for the hosted version of the software. 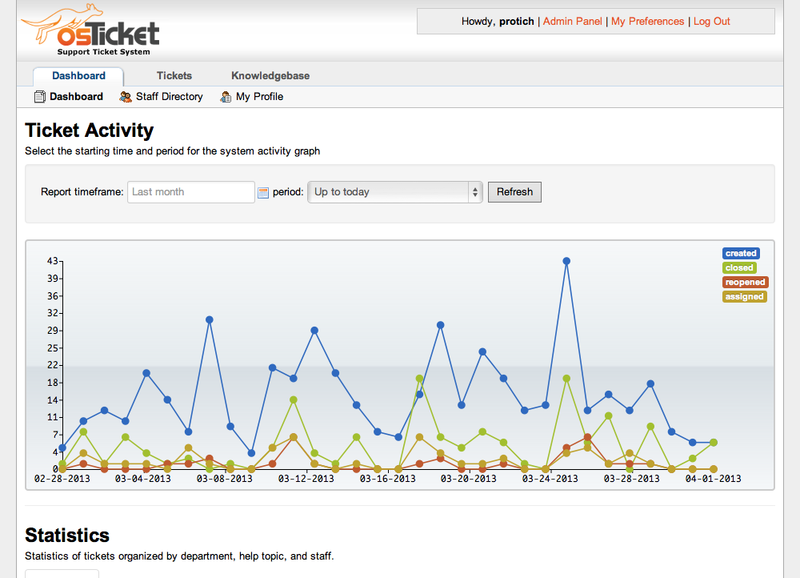 If you want to better understand osTicket features you can login to our osTicket demo by clicking on the links above. The admin demo will show you all the options and functionality available to an administrator and how you can configure your online demo. The screenshots below will give you a preview of how an osTicket demo site looks like in the frontend and what are the osTicket features available in the admin demo. Given that osTicket is free to download you can also set up your own osTicket demo on your own server. Before starting the installation process make sure you meet all server requirements. You will need a HTTP server running Microsoft® IIS or Apache, PHP version 5.4 or greater with mysqli PHP extension installed, although 5.6 is recommended and MySQL database version 5.0 or greater. 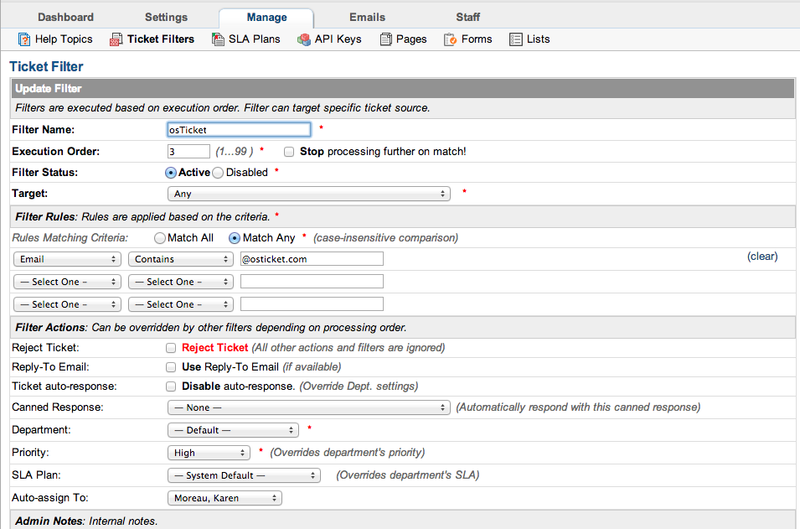 After you’ve set up your osTicket demo you can move on to customizing the frontend of your osTicket demo site. There are a lot of osTicket themes available from third party developers that will help you change the design of the customer support system and make it integrate nicely with your website. You can also create your own osTicket themes if you have the required skills. 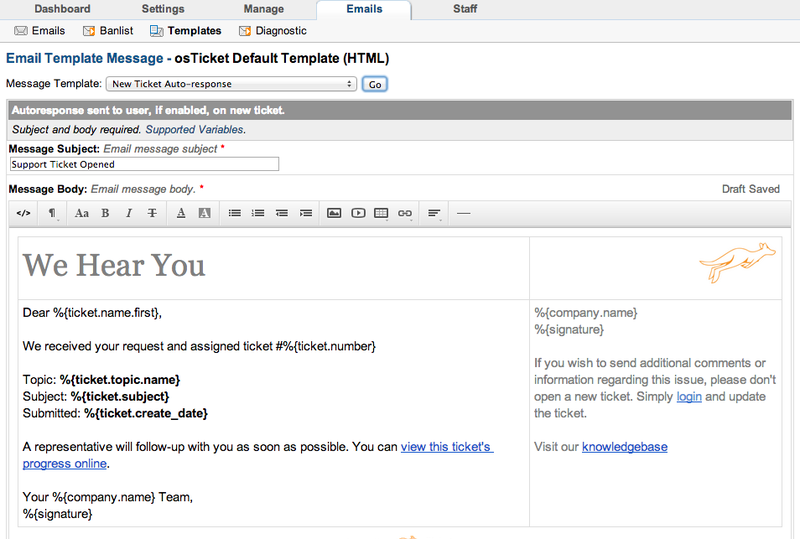 Some examples of osTicket features include the ability to create custom field that will help your clients get straight to the issue when submitting a ticket and sending out automatic replies whenever a ticket is opened or a message is received. This helps you keep in touch with your customers, letting them know you are aware of their problem and you are working on fixing it or getting back to them with a reply. 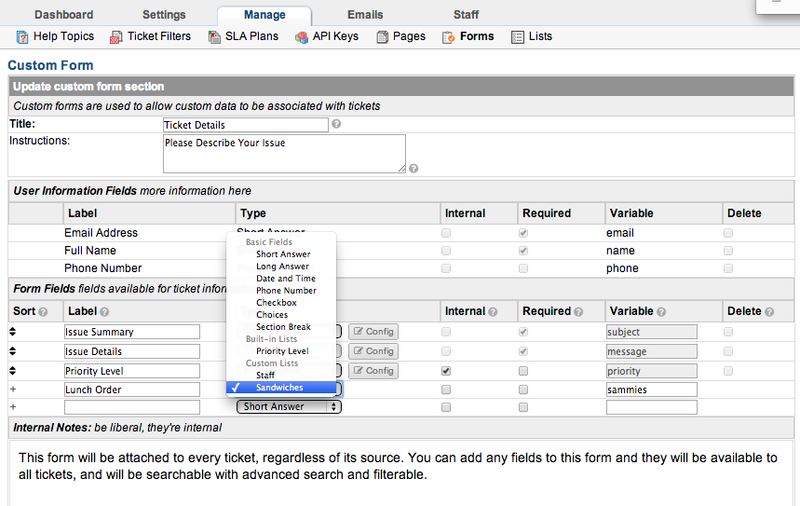 osTicket also has a lot of features that help administrators better organize and assign the tickets they are getting. 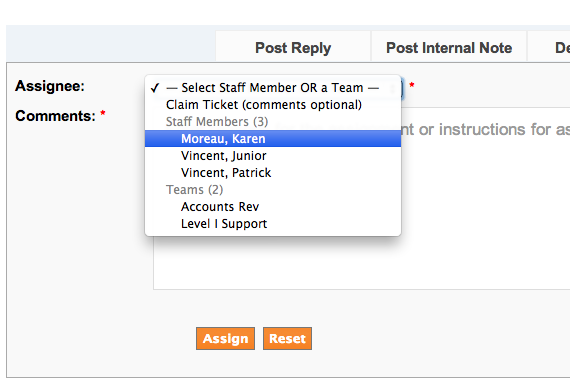 You can use filters and rules to assign incoming tickets to the right departments or staff members and the ticket locking mechanism that allows a staff member to lock a ticket he is working on to avoid conflicting or dual responses from other coworkers. All suport tickets are archived online, allowing users to login to their account using email and ticket ID, without the need to register for an account. The system also gives you detailed reports regarding the number of tickets and activity for each department involved. osTicket is also completely translatable and can be made available to users in different languages by downloading the language pack. If the software is not translated in your language you can join the community and help translate it. The latest version available for download is 1.10.1 and was released on September 14, 2017 under the GPL2 license. This version addressed a serious vulnerability reported in prior versions, and also introduces a few bug fixes and enhancements.